​Barcelona will not enter the race to sign Antoine Griezmann, despite the player offering himself to Europe's top clubs after becoming frustrated at Atletico Madrid. Griezmann was heavily linked with a move to Camp Nou last summer, but after a long-running saga, decided to stay put when he announced his intentions via a TV programme called 'La Decision'. Griezmann then signed a new deal extending his stay in the Spanish capital until 2023. However the initial €200m release clause in his contract will drop to €120m this summer. 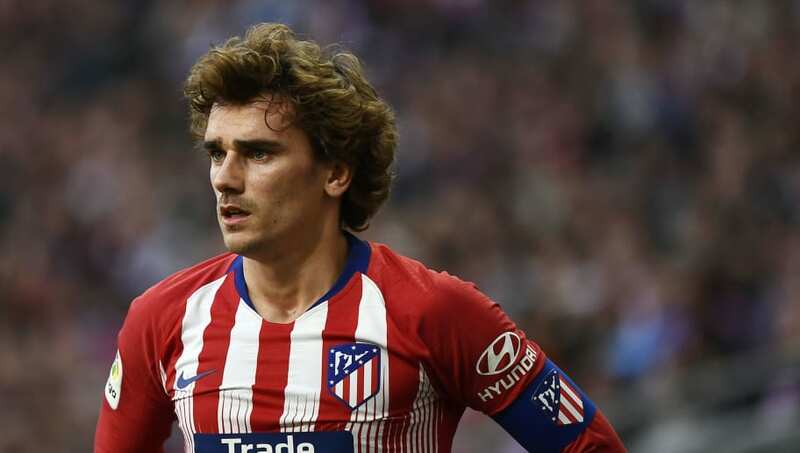 According to ESPN, Antoine Griezmann has reignited doubts over his future by offering himself to 'a number of Europe's biggest clubs', after growing frustrated at Atletico Madrid once again following a disappointing campaign. However, Barcelona feel Griezmann does not fit the profile of a forward they are looking for, leading to the France World Cup winner offering his services to a number of Europe's biggest clubs, including Paris Saint-Germain and Manchester United. La Blaugrana's hierarchy consider Eintracht Frankfurt's Luka Jovic and Celta Vigo's Maxi Gomez to be more attractive propositions to act as a long-term replacement for ​Suarez, who turned 32 earlier this year. Spanish publication ​MARCA add that the 27-year-old's antics last summer were an 'act of disrespect', and left the Catalan giants feeling 'humiliated'. The leaders of ​La Liga's intentions were seemingly confirmed after their victory over Real Betis on Sunday, courtesy of the club's director of institutional relations. Speaking after the game, Guillermo Amor revealed (as quoted by ​Mundo Deportivo): "We can not talk about players from other teams. "We must respect the situation of ​Atlético that has just been eliminated (from the Champions League). I do not know if there is any contact, or if there will be."